To be honest, I’ve really enjoyed my fishing this month, really getting back into it. Although its not been about catching massive fish, it has actually allowed myself to take a step back, have a good chat with my angling mate Chris and decide that its time to get back into the big fish world and stop chopping and changing daily between species and venues, so expect new things come spring next year. Anyone that’s into facebook will have realised that, with the help of young Tom Aldous, I now have a facebook page – Duncan Charman Angling, much to the disapproval of the girlfriend who thinks I’m looking for totty! Its early days but please do take a look, add a comment or send me a message as it will be good to talk. Looking at my diary inputs, amazingly I’ve been bankside no fewer times than 17 in the first 22 days! This monthly input is somewhat premature as I’m out once again with a customer on the Test before the end of the year, yet with a sore throat and aching shoulders think that come the New Years might just be on my back. During one week I even targeted six different species, Grayling, Roach, Pike, Chub, Barbel even Tench so it’s easy to see why things have got to change as just preparing the kit takes absolutely hours. These sessions have totalled 105hours and have been split between guiding (6) which is an increase on last month due to the weather, features (5) and personal sessions (6) which is a nice balance. The guided sessions have varied from fishing the beautiful river Test for Grayling to targeting Stillwater chub at Bowsaw Lake. Anyone that keeps an eye on my website updates will see that the Test at Nursling provided Mel and myself a brilliant day out yet the desired 2lb grayling was no where in site. The Test at Timsbury supplied Alan a roach but unfortunately slightly smaller than my two-pounder, sorry! Another customer Mark was introduced having never fished the river, used a centrepin, caught a grayling or trout before yet mastered the art of fishing the pin, even being a lefty which was somewhat amusing! He caught steadily all day and took plenty on the pin and float including grayling, sea, rainbow and brown trout to over 4lb before seeing exactly why fishing the feeder for grayling should be banned! Then later in the afternoon tried his luck for a fish of a lifetime, a 2lb roach only to be beaten up by, yep trout! Adrian needed his angling fix so we headed to Bowsaw where he experienced constant action from numerous species including our target, chub and finished the day will well over 100lb. However in perfect conditions Neal who wanted to add a new skill, waggler fishing to his armoury strangely struggled at the same venue, however he still had a dozen carp, eight chub, two tench plus perch the odd strange one! Feature days have played a massive part this month, just watch Tight Lines on Jan 23rd to see how I failed to produce after pre-baiting a lake for the best part of three weeks. Thankfully you won’t have to read my reasons for such a dismal performance, its just fishing! Anglers Mail have kept me as busy as ever and I had to do a double take to get the result I needed for a recent feature. Heading to the Loddon I failed to catch a chub on the float and bread so dropped off on the way home to a free stretch of the Blackwater to take two 4lb chub in three cast. Confident as ever and with cameraman beside me I proceeded a few days later to land a dozen chub plus a roach, great you may think but none were over 3lb. A few days later we were back and in less than 10 minutes I put two big chub on the mat, job done but once gain, that’s fishing. 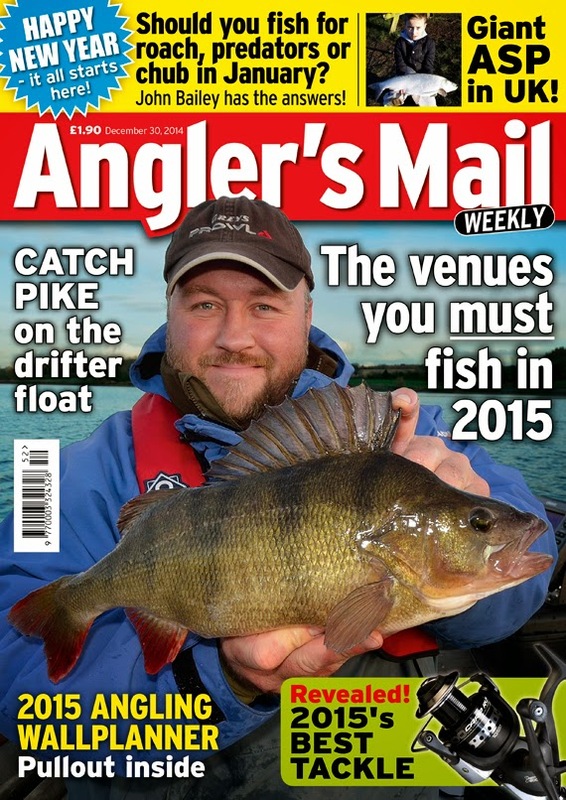 Keep an eye out for this feature soon in Anglers Mail. Two other occasions I found myself bankside, this time providing Anglers Mail with ‘Where to Fish’ information. With young Tom helping me out with the video links we dropped onto the Loddon, the same stretch I had failed on earlier in the month and within a couple of hours young Tom had landed a couple of cracking chub, he’s even smiling in the photo Chris! Personal sessions have been here there and everywhere from Pike fishing to tench fishing. Success has come in the shape of a 2lb river Test Roach whilst guiding a friend. Tench also featured but only after watching dozens of then roll whilst pike fishing with my mate Chris in temperatures starting off at just -3! Unfortunately the roach pre-baiting campaign didn’t work out, yet at least I had the opportunist desire to try of the beaten track rather than following the circus. Before mentioning the circus, let’s just take a look at the weather. Once again it’s been diverse. One minute the rivers high and coloured and the atmospherics and air temperature brilliant for barbel, yet just hours later the rod rings are freezing up. I’ve said it before that getting any consistent results are far from easy, in fact they are almost impossible. All we can do is make a call on where to fish and now and again we are all rewarded with a spell where we just can’t go wrong, however in most cases if we put one notable fish in the net (mine was the two pound roach) we are lucky. As I earlier mentioned, next year will see me once again getting back into the big fish, or more importantly sticking to one species and one venue until the job has been done. Some venues on my hit list are unfortunately ‘circus waters’ but more are off the beaten track for less popular species. Instead of changing with the daily elements I will have certain rods made up ready to go and if the conditions are not right then instead of changing route I will stay at home. The fantastic thing about this is it will give me time to get on top of jobs seriously in need of sorting as well as preparing far better for my customers and compiling far better articles, such as ‘How to weigh a fish properly’ for my website. Sadly my ‘day ticket’ ventures will have to stop, well that’s unless they have a monster lurking beneath. In a few days I will be 50 and during that time (in fact over the last three years) have compiled a wealth of knowledge which in many cases will be shared with the angling world but some information needs to be protected as 2013 and 2014 were the years of knowing who your friends are! I’m not into winning competitions anymore, preferring to keep things to myself, but my targets and aims for 2015 need to be enjoyed as there are too many prying eyes out their, ones that are only too willing to pounce on fresh news, invade my space then take the credit. Ones that are only to happy to share their waters once blown so to speak, so keep an eye out as I will be around, but then again I won’t! Just taken a look at the images I’ve attached. Sad really that next year fish image backgrounds need to be thought out with so much care, yet this will be a test for all those sheep out their that want to follow the leader! Get down to your newsagents now and get the latest issue of Anglers Mail, you never know my 2lb roach might be in there! Tight Lines and a Happy New Year to you all. Charman’s Challenge – Timsbury Manor Fishery. Tickets - £20 per person (2 rod limit). Dates bookable in advance and payment on day of fishing. Stock – Noted for its specimen coarse fish with roach exceeding 3lb, chub over 7lb, pike to more than 25lb, dace over a pound and big perch along with grayling over 3lb and off course plenty of trout. Conditions – Almost perfect with the river fining down after recent rain. Overcast and mild with very little wind and atmospheric pressure rising from 1013mb. My challenge for today was to help catch my good friend and customer Alan a fish that had eluded him his entire angling career, a two pound roach. It’s a journey that has seen him fish many a venue from the Thames to the Avon, often with myself close by but sliding the net under such a fish is like finding a needle in a haystack instantly! River Farm Fishery in Hampshire was our closest call with roach to 1lb 12oz yet Alan stumbled on this venue shortly after its prime and is now just a shadow of its former self, well as far as roach it is. The week before Alan had fished the Frome but the tide wasn’t right as well as the Avon but the minnows were still ravenous, heading to Scotland’s Lochnaw Castle even crossed his mind yet hitting the circus waters or joining the high priced syndicates isn’t something he wants to do. Landing such a fish off the beaten track would be a dream and if it came from running water, well even better. I’ve lost sleep trying to fulfil his goal, even tried pre-baiting a secret water in the hope of falling on a 2lb roach goldmine yet all I could do was suggest swims and venues that I know do or have done big roach in the past in the hope that he found himself in the right place at the right time and experienced one of those rare ‘red-letter’ days. We had hoped to fish an exclusive stretch of the river Test but this had fallen through so I suggested we headed to another stretch, Timsbury, a fishery with a track record of producing some monster roach in the past, yet were they still their? It was a shot in the dark but even if the roach didn’t show plenty of out-of-season trout would keep our rods bent. Apart from two fly chucking pike anglers we had the beat to ourselves and I positioned Alan in what use to be the best roach swim only to see him beaten up by trout after trout. I headed downstream only to be beaten up by a motionless quivertip! Moving swims I found a few trout yet felt once again a million miles away from our target, a monster roach. At lunchtime I spoke to the owner who suggested we try a couple of different swims and assured us that big roach were still around. Alan’s move resulted in more trout yet I decided to leave my swim alone till dusk and do some float fishing in the shallows which resulted in numerous grayling and trout including a brownie that was pushing my personal best of around 5lb 8oz. An hour before dusk I started to run a float through my new swim feeding bread mash every cast yet come the time the float couldn’t be seen no bites had come. I was contemplating a move, so cast out the feeder and started packing the float rod away when my attention was bought to the quivertip that had started to twitch in true trout fashion. Lifting the rod I felt a few head shakes and assumed that it was another trout yet this fish failed to shoot all over the place and when it surfaced I was sure that I saw red fins. Stumbling for the net and with jelly legs and a squeaky bum I slowly drew the roach over the net and knew that Alan’s dream was, well unfortunately in my net! It was a close call but two weighings revealed it was indeed a close call as the needle stopped smack on two-pounds, a fish of a lifetime but for me I wanted such a fish in Alan’s net so made him grab his kit and set up in my swim. An hour passed before the first bite and yes it was a roach but a 1lb 5oz fell somewhat short, yet still a fish to be mighty proud off. Darkness was well upon us when the next bite came. I had headed back down stream to cover different spots and was just returning to see a 4lb chub in his net. Now I bet he missed a few heartbeats during that fight. Sitting with him the last cast lasted maybe four casts and our session bought to a close when once again a sea trout splashed itself through the swim. The perfect day would have been a 4lb chub in my net and a 2lb roach in Alan’s yet that’s fishing our search goes on, however we are now close, very close and I’m confident that it wont be long before Alan’s dream is fulfilled. 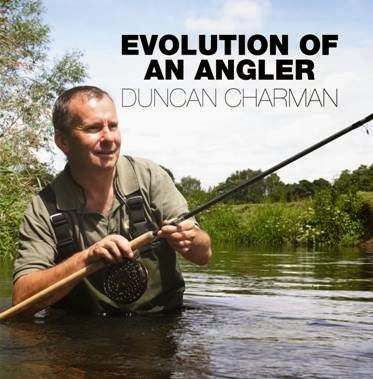 Charman’s Challenge – River Test Nursling. Stock – Predominantly a game fisher’s paradise but the stretch offers superb grayling fishing along with some chub, a few roach and dace as well as pike, bream, hybrids and carp. Conditions – An overcast start with occasional shower at midday but eventually giving way to clear skies and a brilliant sunset. Temperature only 4 degrees on arrival and 4 on departure rising to a max of just 7. Atmospherics high at 1026mb and luckily very little wind. River clear fast and dropping. For one reason or another it’s been a while since myself and good friend Mel had managed to get out together. Mel contacted me a couple of years ago with the view of increasing as many personal best as possible, ones that were at least 50% of the British record. Since our adventures we have managed to complete many of our goals but a couple of species, in particular Catfish and Grayling had always eluded us, so with a window of opportunity presenting itself we grabbed the chance with both hands and headed to the river Test at Nursling. Unfortunately I’m not allowed to guide on this stretch so we both bought a day ticket with the view of exploring the beat along with myself helping Mel to improve his centrepin skills. I could have quite easily placed a feeder rod in Mel's hands but to me this isn’t grayling fishing so resisted the easy option and stayed traditional. Maggots and worms are banned here in an attempt to protect the salmon par so it was an all out sweetcorn attack; however a few slices of bread were in the van just in case we thought there was a chance of a big roach. Having never fished this particular stretch before it was an adventure for both of us; however I’m familiar with the beat as friends have fished it in the past and painted a near perfect picture of it. Nick the river keeper was already next to the river when we arrived and quickly gave us a brief of where the best chance of a two-pounder was, upstream of the pool, something I already knew. We decided to head right to the top of the beat on the left hand bank which extends to just above the M27 bridge and borders the Broadlands Syndicate beat. Above the bridge is very shallow, not the best area for a couple of rusty centrepin anglers and after no action came we headed downstream to a worn swim that screamed fish. I’d decided to set Mel up with an identical rig as myself, a 4.5g 2.5swan loafer float with a 5lb hooklink and a size 14 Kamasan B525 hook. We were both using 15ft rods, pins with 6lb mainline, basically tackle that I used when I started grayling fishing many years ago which accounted for loads of big fish on the river Itchen. By doing this I knew that if it wasn’t working for me then it wouldn’t be working for Mel, however although the end tackle seemed fine it was our centrepins that were causing us a few problems. I had lost the main screw holding the drum on my Okuma pin a few days before and decided to use a new pin that I reviewed a while back, however I noticed that it didn’t spin as freely as I would have liked and put this down to being new, yet after struggling on for a while soon realised that something was seriously wrong with it, a dud probably! Mel's float was pulling in to the bank and holding back and the problem was soon found as he had spooled up with too much line, an easy mistake to make, and it was this that was bedding in, so with some removed it started to perform better as the day progressed. Forgetting my fishing I started to feed while Mel trotted down a couple of times and probably on the third trot down and after deepening the float slightly it disappeared and he was into a good fish. I have to apologise to Mel as I probably sent his legs to jelly as I momentarily saw the grayling which looked massive and excitingly gave him a running commentary on taking things easy. In the net the size of the fish dropped somewhat and although a great fish to start the day it didn’t beat our goal of 2lb, in fact it didn’t beat his best of 1lb 12oz. Working our way back to the car Mel caught steadily with plenty of grayling around 12oz along with the occasional bigger one of around 1lb 8oz along with the odd sea, brown and rainbow trout. I managed the odd fish even with a pin that needed a helping hand which included grayling, a couple of sea trout and a chub. Back at the car we had some lunch before trotting down to the Mill. This produced plenty of trout along with a few better grayling but the star of the show was a twenty-pound plus salmon that sat at out feet in the swim. Heading upstream on the opposite bank we came across a syndicate member who informed us that the roach were now very scarce as were the dace and that this year there had been a big increase in the numbers of grayling along the beat but these were much smaller than the previous season, great! 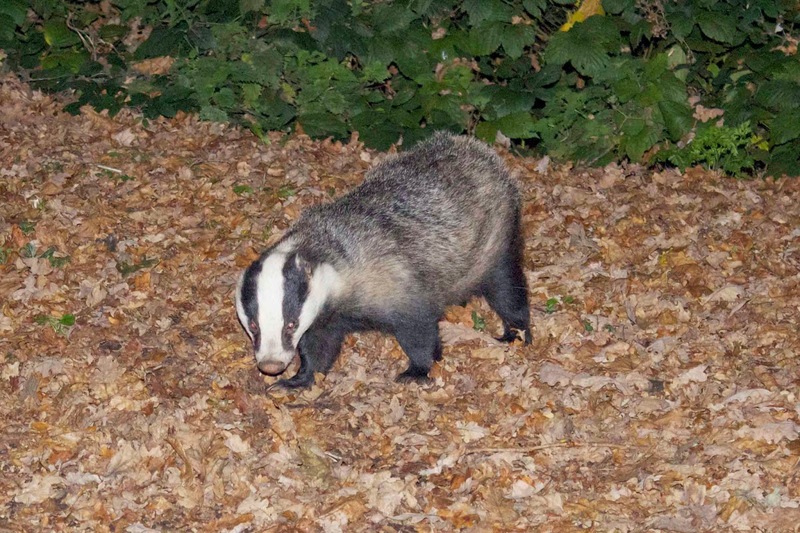 He was trotting bread down river and was getting beaten up by trout after trout so at least the sweetcorn approach was selective and avoided these to some degree. Heading back downstream we had to try the whirlpool and once again just caught grayling after grayling but nothing bigger than a pound, great sport but we both would have rather had far less fish but a bigger stamp. Id swapped my pin to a back-up Okuma and was now realising the difference between a good pin and a bad pin and was able to control the float perfectly below the salmon run but all this produced once again was modest grayling. Grayling are very strange, some years the numbers seem well down yet the size of fish is big. I experienced this on the Itchen when one year two anglers could catch nearly a hundred fish in a day but none made two pound, yet the next you would struggle for maybe a dozen grayling but two or three would be two-pound plus! Nursling, as well as the Broadlands beat above is full of grayling this year and without a doubt two and three-pounders are there yet singling these out is going to be very difficult. Nursling is a fantastic stretch of river, without a doubt the best piece of the Test I’ve fished. It may come at a cost but it’s so refreshing to know there are still places to go where bites are non-stop and anglers almost nonexistent. After trying a short club stretch of the Loddon last week and working around three other anglers, all of which hadn’t had a bite it was just the tonic I needed and I will certainly make the pilgrimage south to experience the fantastic fishing Nursling has to offer far more often. As for the two-pound grayling the search goes on but I already have the next venue up my sleeve! Thanks again for a most enjoyable day. The fishery is picturesque and apart from one other angler we had it all to ourselves. As usual you were totally unselfish in ensuring I had the best possible chance of a PB grayling. We certainly had the numbers so we rally gave it a good go. In addition catching pristine rainbow, brown and sea trout was a real bonus. I am so grateful for your patience in helping me improve my skills with the centre-pin. I feel much more confident, in what is something of an art, as a result. Seeing a 20lb salmon lying in touching distance under our feet was such a pleasure. Looking forward to continuing my quest for PB’s with you. With the mild weather continuing into November Zander at Old Bury Hill were still high on the agenda. Usually as soon as the water temperature drops they become tough, even after dark yet with this holding up and a couple of customers gagging to have a go we booked a date and enjoyed some non-stop action even if the wet weather tried to spoil session. Around a dozen zeds fell to their rods as well as the sardine munching scaly pest, this time a mid-double common and the friendly badger made an appearance. Another guiding day saw me take out the winner of the TAC (Thames Anglers Conservancy fish of the year completion who won with an amazing 5lb 7oz perch! Wanting to catch his first barbel we headed to the Loddon and once again found the river in far from great barbel condition, fining down, yet we kept at it, had a great day out and he was eventually rewarded with a good chub. Every TAC member can enter this competition and it’s in remembrance of my good friend Richard Crimp who sadly passed away earlier this year. So if you catch a great fish out of the Thames forward this to Dave Harvey and who knows you might win a day out on the bank with me and the great thing for me is that I find out exactly where the winning fish comes from however I know the spot the perch came from well but the days of tracking big fish down, especially those at a distance or that involve loads of obstacles are long gone. My other customer, Nick wanted something different that the standard sitting behind buzzers waiting for a carp to show so I suggested that we head down south and try our luck at grayling. Sadly with so much rain around we decided to knock this on the head and try to catch some Stillwater chub on the waggler. Well what a day this turned out to be as we amassed a weight well over a hundred pounds with a high percentage being our target species. Sometimes a change is so refreshing and I think it did both of us the world of good, something to get the mind working and a great confidence boost for our other ongoing campaigns. In total my guiding days totalled just three (3), slightly down on previous months but due to constantly having to rearrange days organised for such exclusions such as predator fishing the Thames, grayling fishing on the Test/Itchen due to the heavy rain. Once the weather settles, and December has dawned in a favourable way then it should be a busy few months. The bad weather has allowed me to get ahead of myself with feature writing. When I’m not casting a line or helping others then its keyboard tapping time and along with three days on the bank numerous other indoors has seen a number of features compiled including two Anglers Mail Action Replays along with a couple of Coarse Angling Today articles and numerous European article and bits for Nash. My own personal outings have seen me fishing six times making it a total of 12 outings for the month which have totalled around 70hrs. Not a great deal I have to admit but add a day on the Nash stand at Sandown, a couple of weddings which takes up loads of my time not just taking pictures on the day but manipulating them afterwards as well as a pre-baiting campaign in which I’ve visited the venue on four evenings towards the end of the month, well need I say more. This little baiting campaign will see me actually fishing the venue early December and to say I’m not eager to cast a line is an understatement, in fact once this blogs written I will be sorting out the helicopter rigs with big roach firmly embedded in my mind. Those six sessions have seen myself target those massive silver bream at Mill Farm fishery but sadly I never netted a two-pounder this year and my biggest from the latest session was similar to those in the spring 1lb 15oz. The session was spent with my father and that day we once again caught loads including numerous carp plus a few tench and perch to just under two pound in a bag of around 150lb! Three sessions were spent targeting barbel on the Thames but with the river at times almost un-fishable and 4oz plus leads needed the beards have moved so apart form numerous bream it’s once again head scratching time. If the weather settles down then I’m expecting December to be far busy, well hours spent on the bank that is and hopefully the secret roach lake will come up trumps and supply me with a few two-pounders. Without a doubt my favourite deadbait for static pike fishing on both still and running water. Sardines are very soft and oily which means they have to be cast out in a frozen state. Before casting its best to pierce the body a few times or remove the head as this will increase the thaw under water and allow the blood and oil to disperse into the water surrounding it giving it extra appeal. Mounting a sardine is simple just press the barbed holding hook (nearest to the swivel) into the tail root and then the second treble into the body just behind the gill plate. Sardines are what I classify as an ‘instant-bait’, where you expect to get a pickup relatively quickly and the soft skin allow the hooks to release from the bait on the strike giving you a very high hook-up ratio. I have also had some fantastic results by popping up off the bottom. Due to the soft skin they are no good for sink-and-draw, trolling or wobbling and are prone to being ripped apart from unwanted species like eels. Frozen sections can also be hair-rigged next to a big single hook and fished with devastating results over a pre-baited area. Tough skinned and very oily make these a favourite for many, especially when pike are found at distance and a long cast is needed. Small mackerel known as Joey Mackerel are similar in size to a sardine and again best mounted when frozen by placing the holding treble in the tail root and the other behind the gill plate. Piercing or removal of the head allows the juices to disperse into the water and a bait that can be recast a few times once thawed out. Bigger mackerel can be cut in half with the tail section especially good for very big fish, probably because it can be cast out and left far longer and able to withstand the attention of unwanted species for longer than softer baits. Being toughed skin allows them to be used in techniques where movement is required but generally considered more as a static bottom bait. I tend to use bigger hooks with mackerel as it’s harder to set the hooks on the strike compared with a soft skinned bait and you often find the bait still in the pikes mouth after capture. Without a doubt one of the most versatile of all natural baits and one that I landed many a big pike on including my best of 31lb 10oz. Its slim lined body and tough skin makes it a good caster both frozen and thawed, however a couple of turns of bait elastic is recommended once thawed. Small roach are great when packs of pike have rounded shoals of bait fish up and can be retrieved back through these in a sink-and-draw or wobbled fashion, or even simply fished under a float at different depths. Bigger roach can be used as a static deadbait, mounted with the holding treble set in the tail root and second in its flank, popped up using poly balls or critically balanced with balsa sticks. Piercing the body or removal of the head again releases bodily fluids and small sections are perfect for hair-rigging over a pre-bait. Equally productive on both running or still water and great for trolling, wobbling or sink-and-draw techniques when mounted with the holding hook placed in the head and once again some bait elastic wrapped around will prolong its life. Probably the best bait when it comes to inflicting movement as its tough skin will withstand casting all day so its number one for trolling, wobbling or retrieving in a sink-and-draw fashion. Always place the holding hook in the head of the deadbait when the above techniques are used and due to their size often two trebles are set along its flank with a single it its head. It’s also a bait that often scores when all else fails so pays to always have a couple for such a situation. Obviously a top scorer on large gravel pits that are stocked with trout (if allowed) and a bait that has also accounted for many a big fish on pressurised venues where everything else has been tried and the pike have wised up. The most distinctive factor about a smelt is its smell, similar to cucumber! These yellow slim lined supple sea fish are again something every pike angler has to have as on a tough day they often score when all else fails. Just because they aren’t that big doesn’t mean they don’t catch big pike, they do. Brilliant bait when movement is inflicted and often mounted by using a big single holding hook placed in the skull and a treble down its flank. Brilliant for wobbling and sink-and-draw tactics when pike have shoaled bait fish up, especially those venues with a natural bait ban, although wrapping some bait-elastic around is recommended. Not often associated with trolling, but works well as a static bait and one that can easily be popped up by simply injecting air into the body. These small silver sea fish aren’t associated with big fish but are what many anglers start using in their early days of pike fishing as they are cheap and replicate small baitfish that pike feed on. Very soft skinned mean they need to be mounted on hooks frozen and wont withstand powerful or repeated casts. Often only lipped hooked and fished under a float when pike are feeding heavily on live fish and one good tip is to fish a single treble and place a small sprat on each hook. Absolutely no use when any amount of movement is inflicted and due to their soft delicate skin not a bait that can be left out for long when static deadbaiting but a bait that mimics small roach very well. Not as easily obtainable as other natural baits such as roach but many a pike angler’s first choice for wobbling, sink-and-draw or spinning tactics. Spinning is completely different to that of wobbling or sink-and-draw as this involves creating a kink in the perch by keeping the wire taught. Mounting a perch head-up (holding hook nearest the trace swivel in the head) with a kink in it makes it spin in the water and the deep body of a perch works much better and creates much more flashes and an agitated movement than slimmer fish such as roach. Also a very good, tough static deadbait and one that casts well and will withstand the attention of nuisance species for far longer than that of a soft skinned bait. Piercing the flank or removing the head also adds attraction and when deadbaiting the holding hook needs to be placed in tail of the perch. This is classified as the in-between to a sardine and a mackerel and is popular as it casts well when frozen, is really oily, has a skin that’s tougher than a sardine allowing hooks to be set in a pikes mouth easier on the strike but then not as durable as a mackerel. Small herrings can be mounted like sardines, along with their heads removed or body pierced for extra attraction or cut in half when bigger and fished as a big fish static deadbait, one that can be left out longer. Certainly too soft for any use when movement is needed but a bait that takes on colour well so often used to outwit wary predators that have seen it all. I’ve had some great results trotting these down a river under a float when pike are feeding on big silver fish as its silver skin replicates these well. This strange pike bait was all the rage a few years ago and gave the piker something totally different to the standard fish looking deadbait. Long and thin with a very tough skin it looks similar to an eel and it’s full of blood. Its tough skin and strange shape allows it to be fished in a sink-and-draw fashion, wobbled even slowly retrieved back just off the bottom, yet in most cases these are cut in half, or just a inch off the tail and used statically allowing the blood to draw predators in. It’s also a very good bait to use in the up-and-coming single hook style of fishing and hair-rigged behind a big single and seems to catch not just pike but perch, zander and strangely carp! This strange looking sea fish seems to have taken pike fishing to a new level as anglers seek to find edges over others. Normally around twelve inches long this long thin silver sea fish is usually cut in half and fished statically on pressured venues where anglers are prepared to sit and wait but a few have been inflicting movement with startling results, so don’t ignore mounting these head-up’ and twitching back. Its thin body is ideal for those conservation minded anglers that are finding just how successful hair-rigging fish sections next to a big single hook is and fishing over a spot that’s been pre-baited. Christmas presents and Sandown all-in-one! Are you the angler with everything and frustrates the wife or girlfriend with few if any ideas! Well why not suggest a days guiding with myself (vouchers available) or even pop down to the Carp Societies Carp Show this weekend at Sandown and pick up a signed copy of my book. Guiding days with me don’t have to be all about big fish as just look at the two images here. My mate Chris was having a bit of a poor run trying to track down a big barbel so I suggested he take a look at another species, perch which he did and after sending him to a fishery I know simply boosted his confidence with this great bag. Nothing to get the confidence factor back and it won’t be long before his sort after target graces his net. Another customer, Nick, usually a carper wanted to just relax, get the brain working again and put a few fish in the net. Visiting a day ticket venue with a difference he bagged himself plenty of chub and once again left refreshed knowing that there is more to angling than sitting behind bobbins and alarms! Whether its learning new tactics such as setting up and using the devastating helicopter rig, having confidence in fishing the waggler and that feeding every few seconds will eventually bring you a bite a cast, to trotting a float down a chalk stream in search of the ‘lady of the stream’ (well once this bloody rain stops) or even targeting predators on the mighty Thames, I’m pretty sure that I can accommodate and provide you with a great days fishing. The Carp Societies Show is this weekend at Sandown Racecourse – Sat 29th and Sun 30th November – Make it a date and pop up and see me! Charman’s Challenge – Waggoners Wells (middle lake). Day tickets cost just £5 per day, max of two rods. Stock – Roach and perch are the main species here with tench, crucians and king carp to 20lb also possible. Conditions – Atmospherics on 1016mb, white cloud clearing on an increasing easterly breeze and temperature rising from a cool 7 degrees on arrival. Steeped in carp angling history, sadly this little gem has seemed to be forgotten in recent times. Great anglers such as Chris Yates and Chris Ball have visited, fell in love and written about this venue, however nowadays size matters and history doesn’t! Donald Leney stocked the bottom lake more than 50years ago with some stunning carp, many of which still survive today. Often thought as, as impossible, these carp have frustrated some of the best carp anglers in the country and I recall as a youngsters seeing a line between two rods stretched out across the lake with two surface baits dangling on the surface. Somehow these anglers had set the trap up, obviously with a rotten-bottom between but still the carp swam around with two fingers up! One carp, again the biggest, was sort after by many, including my good friend Steve Ansell and I recall a shifty night spent many years past targeting these (nights not allowed). That night Steve caught one, I think it weighed around 12lb and as for me I was the pest controller with one weighing around 2lb! Nowadays I walk the girlfriends parents dog around the lake, every other week and on a hot summers evening count the carp that still survive, 2013 = 19, 2014 = 17. I have to admit at not being able to pick the big girl out but I am informed she still exists albeit well down from her top weight of just over thirty pounds. Never one to turn down a lead though and with reports that the roach have gained weight decided it was about time to dig a bit deeper, however it wasn’t to be the ‘steeped in history’ bottom lake but the middle lake that drew me in. Reports of the occasional two-pounder needed to be investigated yet a year previous my first exploration trip only produced roach to 1lb 1oz, however it was a very cold day and you just cant right a venue off on just one trip. Having just returned from a days guiding when waggler tactics were employed it seemed the perfect opportunity, as the kit was sorted, to spend another session on the venue. Although a place of outstanding beauty its not really the place for angling anymore as the steep bank where fishing is allowed has been somewhat left to the elements and almost impossible to fish. I managed to set up in the most comfortable swim on this bank and believe me it was uncomfortable! Trees now inflicted an angler in using the float and the bank behind steep to make pole fishing almost a non-starter, however with a small gap between the trees I managed to cast a float and enjoy a few hours sport. Arriving at first light I managed to cast out at 7.30am and after feeding a few maggots on a regular basis soon started getting bites, albeit from small perch. Finally on the drop in around 7ft of water a fast bite saw something bigger hooked, a roach around 12oz. These came regularly for the next two hours before the switch was hit. I even tried the devastating helicopter rig yet one bite every twenty minutes proved they had almost shut up shop and an earlier than expected departure was forced on me. If you fancy some real ‘Mr Crabtree’ fishing where size really doesn’t matter, well better get yourself down here, yet be prepared to puff a bit as lugging your tackle down the valley isn’t fun, setting up isn’t fun, yet when you are there, stop for a second, look around, listen and enjoy as there is more to fishing than catching! Charman’s Challenge – Bowsaw Lake. Tickets Adult 1 Rod cost £10-00 and 2 rods £15. Night fishing allowed but must be booked in advance by calling Jim on 07770 724611. Stock – A good mixed fishery with plenty of chub, carp and perch plus tench, goldfish and occasional barbel. Conditions – A cold dawn with a slight easterly breeze. Atmospherics pressure rising and early cloud slowly breaking up in the afternoon lifting temperature from 7 to 11 degrees. This fishery has been on my hit list for a while now as it offers something different to the standard commercial. The difference is chub and ever since watching Keith Arthur on Tight Lines enjoying constant action from these in far from ideal conditions wanted to give it a go. The opportunity arose due to a customer wanting to do something different and with both of us coming from a match background thought it was the ideal time. I have to admit that it was our second choice, the first being grayling fishing on the Test but with the rivers running fast and coloured needed a venue with a difference that would keep the rod bent. Arriving at dawn we had a quick look at both Bowsaw and Billhook Lakes and both agreed Bowsaw looked far more appealing as well as being somewhat sheltered from the easterly. We decided to fish pegs 17 and 19 but the bailiff Jim arrived as we were setting up and pointed us in the direction of pegs 1 and 29, both of which allowed a float to be cast along side the edge of the island. Tactics were simple, loaded wagglers with the bulk of the shot around the float and two small dropper shot to take the size 16 hook and double red maggots slowly through the water. Hopefully the chub would rise and intercept the steady fall of these maggots which we catapulted in every thirty seconds or so. Twenty minutes past without a bite but finally Nick received one which he missed. My first bite came from an 8oz chub which was to be the smallest off the day as after an hour we were both getting a bite a cast, not just from our intended quarry but also from small perch, the odd carp to 6lb as well as a steady run of brown and coloured goldfish. Our initial target of twenty chub was easily surpassed come 3pm and Nick posed with our catch that totalled 31 chub (no keepnets allowed apart from organised matches, however we gained permission to retain just chub, plus a tench Nick caught). The chub averaged around 1lb 12oz giving us a chub total of around 50lb and add around 70lb of other fish you can see that it was certainly rod bending action all the way. To be honest our total weight makes the fishing seem really easy yet all day we had to keep altering things to keep the bites coming which just mad the day that much more fun and with some banter flying around I think it was exactly what we both needed to reinforce that theirs more to fishing than sitting behind alarms and tonic to see both off us getting out and doing some proper fishing more! I also have to say a big thank you to Carole and Jim for being extremely good hosts and for keeping the fishery in what can only be described as immaculate condition and one that I would highly recommend you to visit. 1 – Nick with our catch of chub, not what you would expect from a commercial. 2 – Its peaceful, comfortable, picturesque and full of fish, what more do you want? 3 – The unmistakable big white lips of a chub. 4 – Nick in action and another hard fighting chub comes to his net. 5 – Drennan loaded crystal wagglers make float fishing easy. 6 – Feeding ten maggots every thirty seconds or so will eventually get the swim yet neither of us used more than a pint and a half during the session. 7 – Jim had an idea many years ago to encourage more anglers to the fishery and introduced one goldfish. The prize was £500 to the angler who caught it, however a week later and during one match seven were caught! Need I say more! 8 – On the same day we fished an angler used more serious carp tactics and took five carp. Nick had around fifteen in the same time and he was trying to avoid them. Time to rethink your tactics I think! If you want to catch more fish at your local commercial then why not book me for a day. We can fine tune your carp tactics as well as taking a look at other just as effective methods such as the lost art of float fishing. Believe me you wont be disappointed! Email me at duncancharman@me.com or call me on 07928 617006 for prices and availability.